Sell smarter with PayPal Marketing Solutions. Get powerful marketing tools designed to help increase your sales. 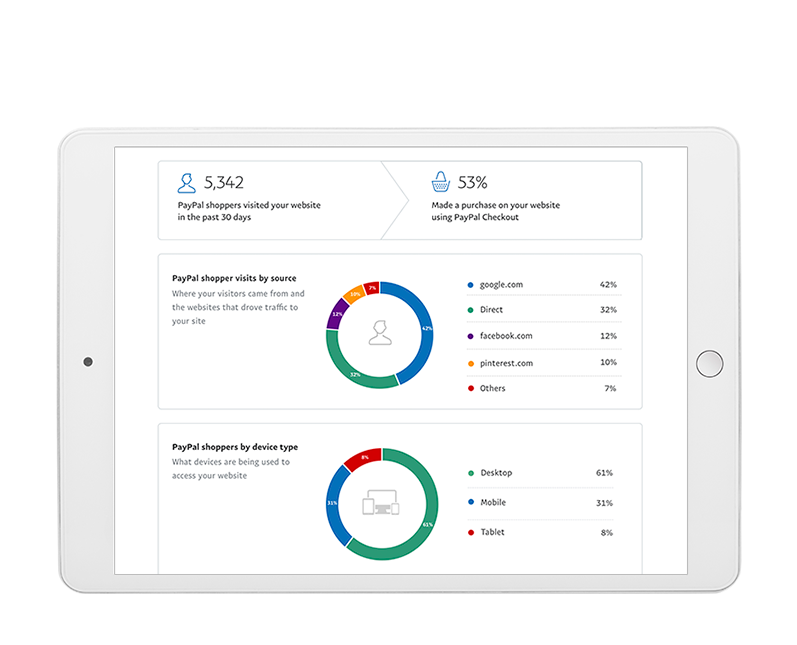 Your PayPal Business account now includes unique shopper insights and customizable incentives from PayPal for your website, at no extra cost. Know more about your customers. Get unique insights about the shopping behaviors of your customers designed to help you increase sales. Easily enable this feature and access insights right from your PayPal Business account. Learn how many PayPal customers visited and made a purchase on your site in the last 7, 30 and 60 days. Discover the average order size of customers on your site. Find out what types of devices are being used to access your site. See how many visitors took advantage of your site's PayPal promotional incentives. Create a customized shopping experience. 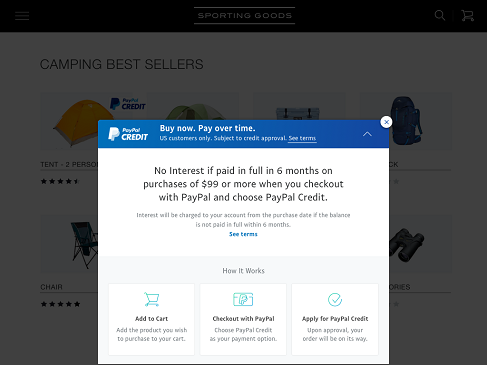 Display relevant incentives from PayPal designed to encourage customers to spend more and complete their purchases. Choose which messages you want to show, as well as how and where they will appear on your site. Just add a small piece of code to your website to activate shopper insights and smart incentives on your website at no extra cost to you. It's easy and free to setup. Sign in with your PayPal Business account and register your site. 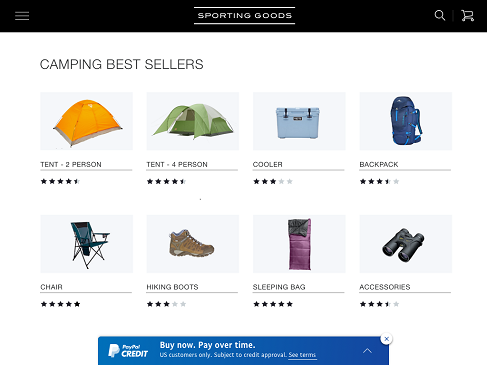 Copy and paste a small piece of code into your site to activate shopper insights. Turn on customizable PayPal incentives with a single click.